As far as I'm concerned, this has been the greatest winter ever. The mild temperatures have tempted me outside almost every day. Walking has been wonderful. My husband and I did our Sunday walk at Natirar, and of course I brought my camera along. Don't you love beech trees in winter? They hold their golden leaves through till spring, making the forest glow with light. 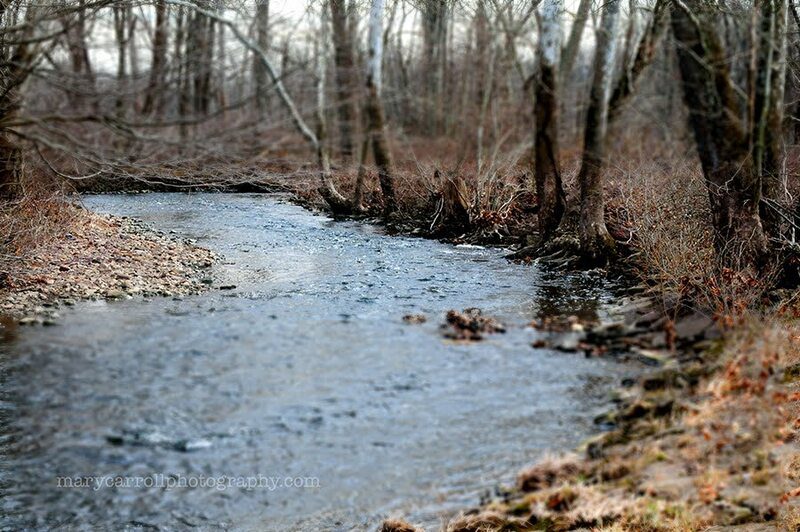 There is music in the air as well -- the lovely sound of the water as it flows over the rocks in the river. Let's walk toward the old barn, with it's beautiful weathered boards silvery grey against the sky. 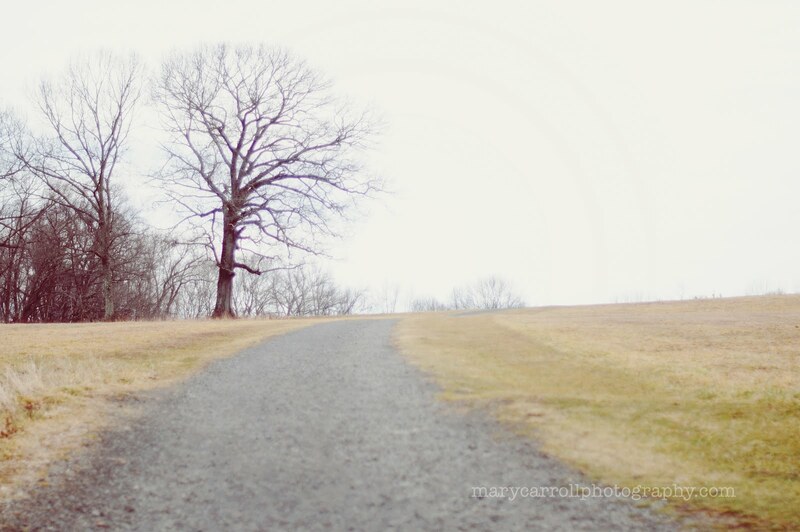 Where will your path lead you this week? 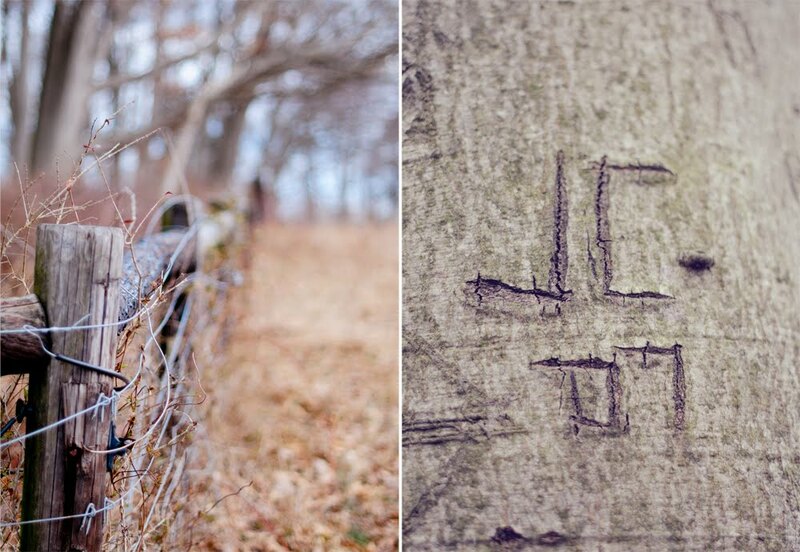 I should note that the initials carved into the tree were already there. We would never hurt a tree in this manner. Hi Mary, pretty shots from you walk. The park looks like a peaceful place in the winter. Lovely photos, have a great week and thanks for hosting. From this post and past photos, Natirar has beauty all year round. My hubby and I do a lot of walking and I too lag behind at times photographing something. Mary, I too have been loving this Winter. Your pics from your walk in the park are delightful. I especially like the j.c. initial carvings. Just so happens that was my initials before I was married. Thanks for letting us share each week! I know what you mean about paths, Mary. They just seem to beckon and make mysterious promises of what with unfold if you follow them! We have loved this winter too, Mary. When J was in hospital last week, the weather ran the gamut. Snow, Rain, Warm Temps, Cold Temps, Sunshine and Clouds. It was like it was unable to make up it's mind which season it is! As always your photos and mosaics are gorgeous! Have a wonderful week, and thank you again for hosting Mosaic Monday! Looks like a beautiful place to walk. Such pretty shots. It has been a great winter for taking nice long walks. So mild. I love photos of 'walking away'. I think one sees something new of the character of the person photographed in that way. Hasn't the weather been absolutely amazing? It has been perfect for walking in the park and even on the boardwalk! Such pretty images, Mary. It has definitely been a great winter for getting out and about! So glad that snow went south of us. Mary, this is the most beautiful mosaic. I love the colors and the subjects that you chose for this one. You always make your photographs look so dreamy. Beautiful, Mary! I appreciate the fresh simplicity of the spring landscape. Yes! Love the beech trees and the sound of water not frozen anymore is thrilling! Finally, pathways! When I was a little girl, if I saw a path (especially, a tunnel through a hedge) off I went. My mom lost me over and over again. So! Yes, I hear what you're saying about them - they're just begging to be explored! Your pictures reminds me of years spend on a farm growing up. Your mosaic is beautiful, as always, Mary. Walking in February means really looking for the beauty sometimes. Love those leaves. Beautiful. It looks like you had a wonderful walk. 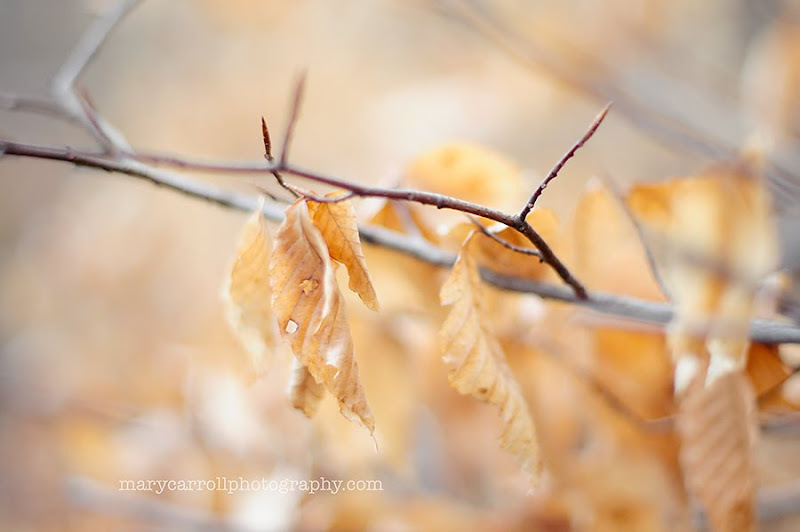 Oh, the color of those leaves ~ and I love your dof in these photos, Mary. I'm glad you're getting out there in this beautiful, but odd, February weather. Very pleasant walk. Yes, this winter has been wonderful, though I'm already feeling the tug of spring fever. Lovely, lovely photos. 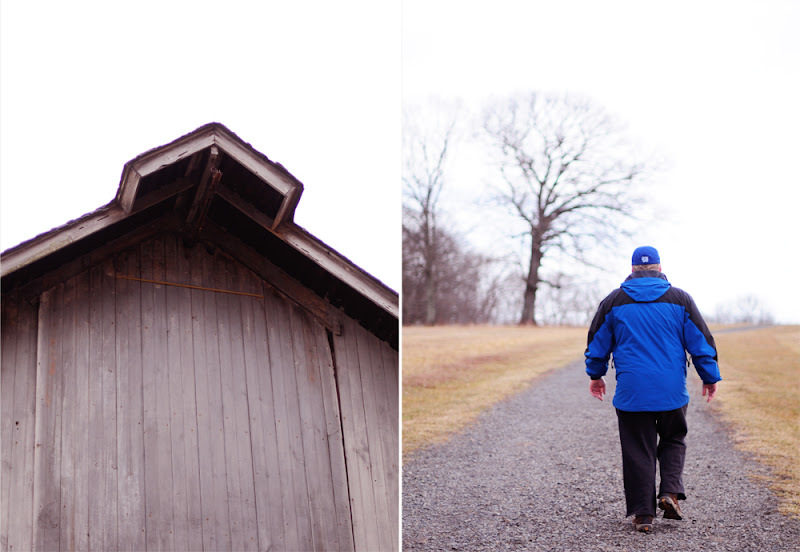 I love this post, love the photos from your walk! Beautiful and dreamy mosaic, Mary! I love the depth of field you capture with your camera!I always seem to be on the run with my camera, snapping photos in a hurry. This winter's weather couldn't be more pleasant--hope it continues though spring! I love the winter mosaic I am glad it hasnt been too cold for you there. The photos from your stroll through the park are so peaceful and lovely Mary. I am happy to be back joining you this week as it has been a while. Thank you for hosting this wonderful party. Even though you might have many pictures of someone's back, it just shows that you are still the artist keeping everything in mind as to what's important to capture. Your photos are always amazing!! Not only are your photos so amazing you are a true poet in your descriptions of the things you see and feel along the way. Learning better photography has been a blessing to me. It seems it's been a mild winter for most across the country. I'm glad you've been able to take advantage of it towards your good health and well being. I loved this walk!!! Gorgeous scenary!!!! Mary your photos are beautiful! Funny, we were also beckoned this weekend! This winter has been one for the record books! Ohhh....I wish I were there to take that walk! It looks heavenly. You've captured such beauty. What a beautiful park. I'd love to come take a walk with you. We had terrible winds today 40-50 mph gusts. Needless to say, we all huddled inside. Very much looking forward to spring.